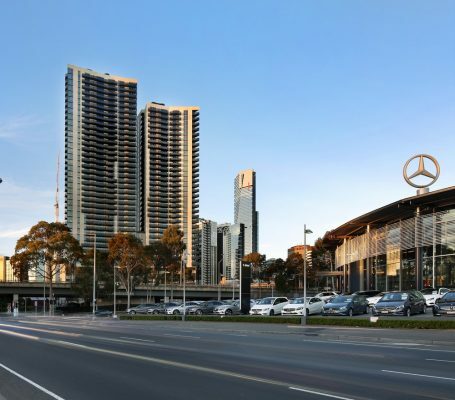 The signature dual towers of Marco Melbourne recently reached completion, creating a prominent presence on Melbourne’s skyline and a residential address of exquisite style and quality within the heart of cultural Melbourne. 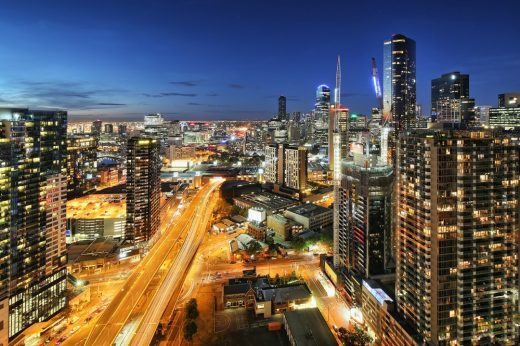 The striking development, by Golden Sunrise Developments, offers a high level of luxury and the ultimate in modern city living in its prime Southbank location, with the spoils of quintessential Melbourne on its doorstep. Project Architect Jacqueline Loh said the design capitilises on the exclusive site. 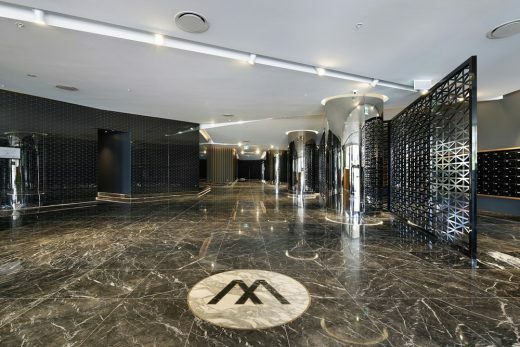 “Marco Melbourne offers easy access to a plethora of dining, entertainment, leisure, and lifestyle opportunities in the midst of the world’s most liveable city. The 36 and 40-level towers rise above a common podium and accommodate 433 luxury apartments in a range of configurations. 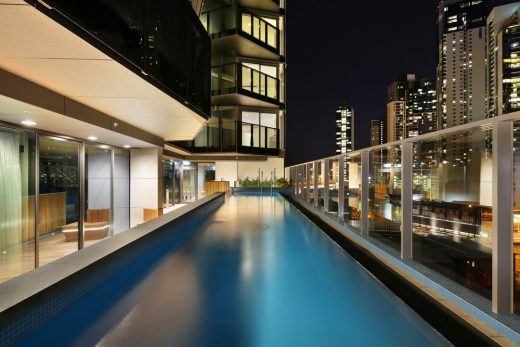 Each balcony has been orientated to take advantage of stunning views across the CBD, the Botanical Gardens and Arts Precinct, and to Port Phillip Bay. The podium offers exclusive access to residents who benefit from an array of first class service, leisure and entertainment spaces overlooking the city. 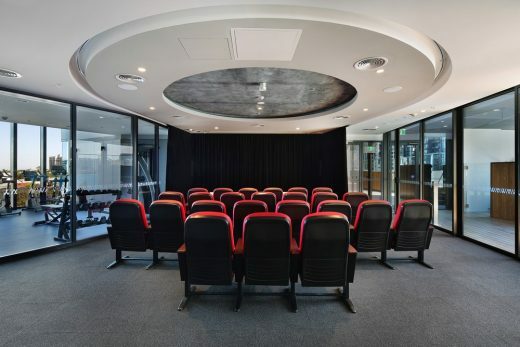 All residents enjoy access to a pool, gym, private dining room and cinema, adding to the exclusivity of the building and creating an opportunity to socialise. “The high-quality amenities were designed to not only create a sense of opulence, but as important social spaces to foster a sense of community amongst the residents,” said Jacqueline. Buchan’s interior vision for the development captures the style and prestige of a fine hotel with an expansive grand entry lobby featuring marble floors and a sandblasted art pattern glass feature wall. Contemporary apartments are defined by dramatic angles combined with polished white walls and full height clear glass windows, and feature stylish finishes and quality materials throughout.